‘Johnsey Cunliffe is, by his own account, not quite all there. He is not so much a simpleton as a simplifier, someone who knows a handful of things with such sincerity and even ferocity that he may almost forget that there are other important things to know. The seemingly quiet realm of his brain is ruled by memories of his father – “the whole place smelled of Daddy” – and his mother, whose tenderness “tore at his soul”. He lives in something of a decent house with something of a decent bit of land attached, currently leased out to the unpleasant and ungrateful Dermot McDermott, because Johnsey does not consider himself capable of farming it himself. He sees himself as a generational runt in a line of heroes, exemplified by his vanished uncle and his revolutionary grandfathers. But as his land acquires a new and unwanted value, enemies and friends alike move in. “Donal Ryan’s narrator in this short but powerful book is Johnsey Cunliffe, a 24-year old man living in a small unnamed village in Tipperary. It soon becomes clear that Johnsey has difficulties in looking after himself. Over twelve monthly chapters, January to December, we follow him as he strives to find a direction for his life. His father, a respected farmer, died of cancer the previous year and each chapter is introduced by Johnsey remembering what his father would have done at that time of the year. Much of the book reflects Johnsey’s internal thinking as he attempts to make sense of a complicated world where everyone else seems to understand how to deal with its complexity. He is regularly beaten up by a gang of thugs who are on the dole and spend their days drinking and looking for trouble, is badly treated by his employer at the local co-op and ignored by most people who are embarassed. Not too far into the story he discovers his mother dead at home and now has to face this hostile world alone. He manages to keep his life together by routines, including keeping the family’s house clean, but then is seriously injured and hospitalised for weeks. Here he meets Mumbly Dave, so-called because he is in the same ward with a badly damaged face after falling from a ladder. They are looked after by a sympathetic nurse, Siobhán. Repeatedly one sees Johnsey thinking what to do or say, only to decide at the last moment that his decision would be the stupid one. His fear of the world and of engaging in simple conversations that twist his guts and make him sick are very authentic. If only he had someone to talk with and offer support, but his family have kept him apart from almost all other people. Although they had done this for the best of reasons it is now a millstone around his neck [‘What had Johnsey? A big thick head into which travelled only black thoughts of how much he hated being here on this earth alone.’] and very nearly leads to suicide. The period is that of the early millennium, during the time of the Irish Tiger and the explosion in land values. Suddenly Johnsey’s farmland becomes very sought after for building and everyone around him pressurises him to sell but he asks himself what his father would have done. As the novel progresses the reader begins to have doubts about Johnsey’s situation and at the end of the book it becomes clear that his condition owes a lot to his loving but over-protective parents. The reader’s response to the narrator changes significantly in the course of this short book. What is remarkable about Ryan’s writing is the way that he integrates humour into the overall sadness of the story. Johnsey is not given to self-pity and is actually quite sharp in assessing people’s characters. He is also very forgiving, just like his father he can generally see the good in people. Having invested so much time in presenting Johnsey as an outsider Ryan very authentically describes his gradual agonising opening up to Siobhán, largely through embarrassed internal reflections, and to Mumbly Dave, whom he initially hates for sharing his ward because the nurse will now have to divide her attention between the two patients. Their relationships with Johnsey, which take up much of the second half of the story, are undoubtedly based on a wish to dominate him and, to this end, they are in competition. The reader is uncertain as to whether he is aware of their deviousness. There are times when one has to make a guess at the Irish vernacular. The tendency of the villagers to ignore the bullying and their coming together to try to force him to sell his land to a local consortium that all are party to are both very compelling. December, the year’s end, brings this character-driven story to its final crisis. Scenes appear out of chronological order and gradually convey Johnsey’s past history; at the same time, each chapter represents the weather and activity of successive months of a calendar year. Inevitably, the reader’s emotions and sympathies become totally engaged by Johnsey’s story. When he starts working for Packie Collins, who runs a co-op, his day is stultifying: up in the morning, in to work, lunch in the nearby bakery run by the generous and caring Unthanks, back to work, “get a dog’s abuse on the way home,” try not to cry, home, up to bed, read a book, fall asleep thinking about dad or girls.” At times he visits the slatted barn where his cows stay during the winter, and thinks about throwing a rope over the crossbeam and ending it all, but he does not, for fear of disappointing the Unthanks, the only people who are kind to him. When they go away for the summer, he is truly alone. 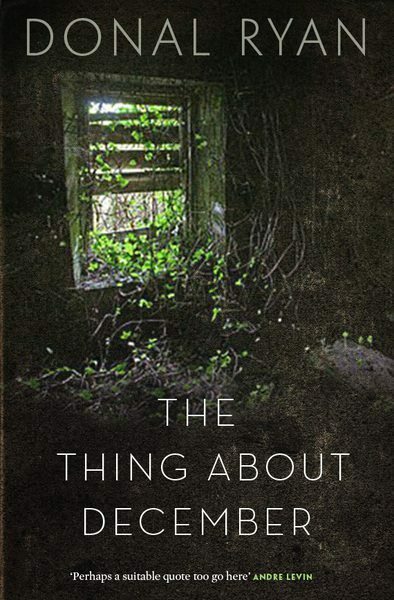 The turning point in the novel begins with Dermot McDermott’s April visit to ask Johnsey to sell him his land, a decision Johnsey cannot bring himself to make because of its family history, but clearly his land has been a major subject of discussion in the community. When Eugene Penrose, Johnsey’s nemesis, announces to his bullying companions that Johnsey’s land is worth millions, the scene is set for a confrontation which threatens to leave Johnsey a broken man. Eventually, he comes to know two new people who seem to care greatly for him, and the two chapters in which these three lonely individuals come to know each other provide most of the humor in the novel, however dark it may be. Eventually, Johnsey begins to receive visits from townspeople who also want to be his friend. “Johnsey is a brilliantly drawn character reminiscent of the childlike Lennie in Of Mice and Men (Penguin Classics). A gentle, simple soul who is virtually incapable of expressing himself verbally, Johnsey maintains a convincing inner dialogue throughout the book, taking the reader, month by month, through the tragic events that happen in one year of his life and the misconceptions of others around him that lead to such shocking consequences for all concerned. “This is an exceptionally well written book from beginning to end and deserves to be read for its style, beauty and glaring exposure of the bleak characters to be found in the world of men (and women ). 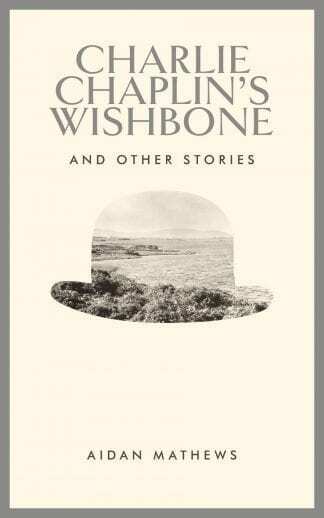 As each of twelve chapters describes a month in the life of its chief protagonist ‘Johnsey’, a painful tale unfolds. 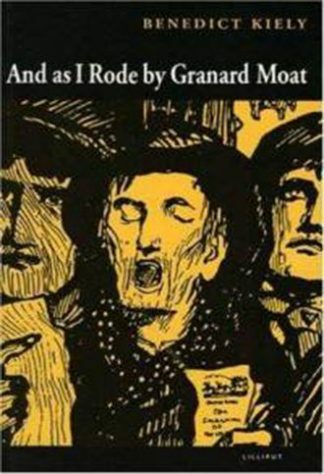 It is set in rural Ireland and although written in a very Irish fashion it will appeal to any lover of well written literature because it is an outstanding read. Similarly, amongst the non-Irish who have discovered the gem that is Ireland and its people, this is yet more of the rich culture to devour and appreciate. 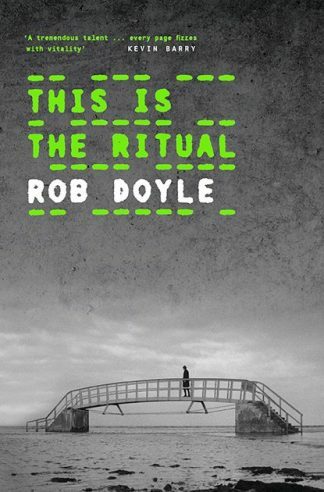 This is the second Donal Ryan book, the first having won much well deserved acclaim for the author. ‘The Thing about December’ is a very masterfully crafted tale that flows easily from one chapter to the next building momentum at a perfect pace. “I loved this book. I am the parent of a child with a disability so the idea of how life might be for this child after I am gone is a lifelong question. “If your debut novel is longlisted for the Booker Prize, it’s hard to write a follow up. But within months, Donal Ryan has supplemented his astonishiong debut, The Spinning Heart, with a prequel, The Thing About December. The new novel takes up a storyline mentioned in passing in the first pages of The Spinning Heart – the life of Johnsey Cunliffe, the man whose land was so disastrously developed in The Spinning Heart. Johnsey is an awkward man. It’s not quite clear whether he has a learning disability or whether he is simply eccentric, but he doesn’t fit in his rural Tipperary community. But unlike the worlds of John McGahern or Laim O’Flaherty, Johnsey is not looked after by a caring society. Oh no, he is mercilessly bullied from schoolage on through into young adulthood. His playground tormetors hang out drinking at the IRA memorial taunting Johnsey whenever he passes on his way to a make-work job offered by a family friend. Their jibes land – and so too do their kicks and punches. The Thing About December is narrated as a single, linear story unfolding over twelve consecutive months. In each month, Johnsey is reminded of events past as he faces the purgatory of his present. We see the death of his parents, his loneliness, his guilt at being bullied. And, the thing is, there is nothing Johnsey could possibly do to redeem himself. He tries wearing cool clothes, he tries to make friends, but each attempt is doomed to fail. And then, as he inherits hios parents’ farm and that farm starts to attract property speculators, it looks as though Johnsey might have hit the jackpot. But instead, he finds himself made a victim by scammers and chancers, seeking to part him from his fortune. The menace and injustice builds and builds with each passing month. It is a sad, inevitable, violent tale. And it dispels any sense of romance in rural Irish life. The writing is clear, albeit peppered with Irishisms. The use of a conventional narrative (as distinct from the 21 individual narrators of The Spinning Heart) makes for a deeper, more complext story with more three dimensional characters. But the constant reliance on Johnsey for a Point of View does leave room for ambiguity. How far, we ask, does Johnsey goad his tormentors. Particularly in the final scene, there appears to be a missing step that might infer that Johnsey is not entirely an innocent. There are also questions throughout regarding the benificence or othewise of the Unthanks. This is good, because after the genius of The Spinning Heart there is a risk that more conventional storytelling could feel a little flat. For the most part, Donal Ryan avoids this. If there is a nagging concern, it is that Ryan’s first two books tell different stages of the same story. One hopes Ryan has more material at his disposal and doesn’t just keep retelling the same stuff over again – that can get old pretty quickly.